Fits Bissell’s Powerglide, Cleanview, and PowerTrak vacuum cleaner models. 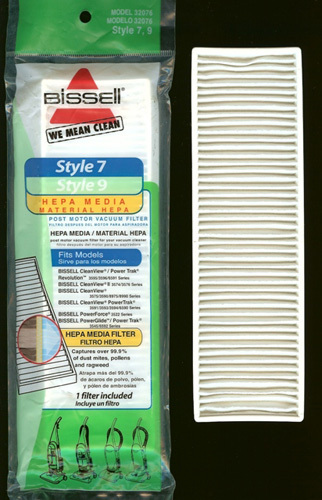 Designed to reduce the amount of allergens within an indoor space, this filter captures up to 99. 9 percent of dust mites, pollens, and ragweed.